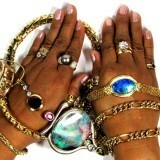 Jewelry buyers are enjoying the pleasures of owning a gem coloured opal. Opals are known as the Queen of Gemstones due to their spectacular play colours and patterns that no other gemstone can match. 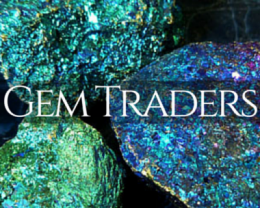 Natural gem quality opal is now very scare and out of reach of most people as gem black opals from lightning ridge are now thousand dollars per carat and even up to ten thousand dollars per carat. But now man made opals in laboratory are gem quality and set into jewelry so for fraction of the price you can have bright colours and patterns similar and realistic to the real opals. 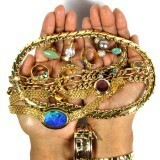 Most synthetics opals are made as triplet or doublet. A triplet has thin slice man made opal with plastic top and black bottom. Opal inlay evolves cutting small pieces man made opal and making back black to enhance the color. 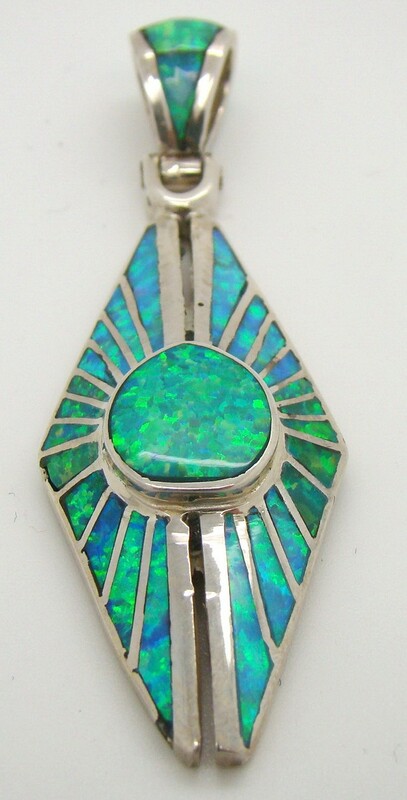 The workmanship is excellent in these created inlay designs in sterling silver opal pendants, opal rings or opal earrings. 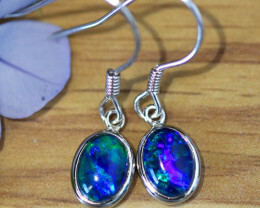 Opal Pendants in silver or gold plated pendants with service chains are popular as colours are magical and can be worn with casual or smart wear. 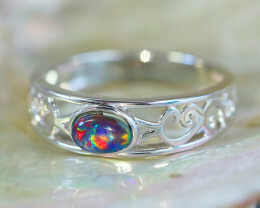 Opal rings are made in sterling silver or adjustable base metal ring sizes that fits most fingers. 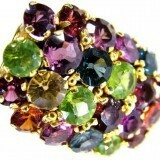 Inlay rings are popular but are difficult to resize. 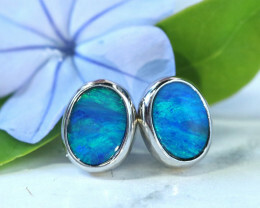 Opals made as solid ,triplet or doublet from synthetics opal is gaining popularity a s good to hobbyist to make their own design and have bright colors. Due to opals rarity and difficult mining conditions,synthetic opals have been wildly excepted as a popular man made gemstone. 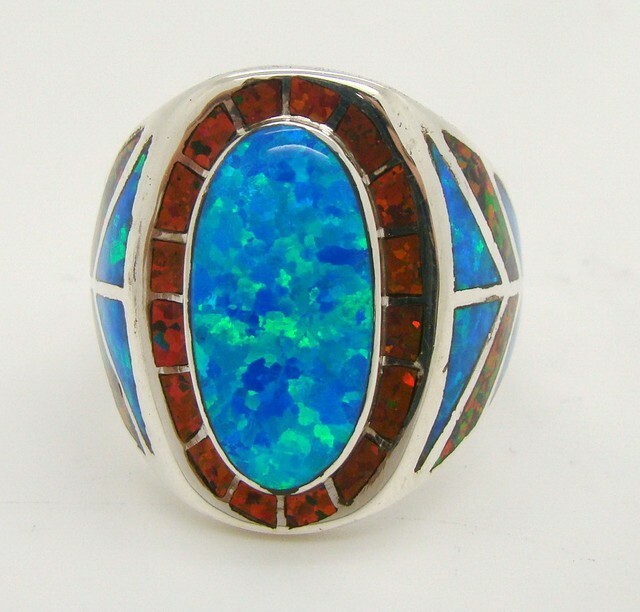 Many different styles of patterns are available and the block of man made opal can be cut on side to create rare rolling flash pattern which is popular in rings. 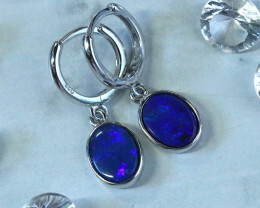 Opal Pendants have stunning bright colours that would cost t thousands of dollars per carat if formed in nature. Many jewelry wholesalers suggest that most people cannot afford opal due to its high cost and synthetics introduce new buyers to the pleasure of opals and one day they might buy real natural opal.